Andrew Durdin – My name’s Andrew Durdin. I’m an Aussie, living in Edinburgh, Scotland, and working as a web programmer at the moment. I’ve been an avid gamer almost as long as I remember, and have dabbled a bit in game development as a (rather meandering) hobby. AD – My earliest memory of gaming is from 1987, visiting some friends on a farm in the New South Wales countryside, and playing Sopwith and Temple of Loth — both of which have marked themselves indelibly on my psyche. I was 6 years old at the time. AD – My gaming history begins in earnest with anAmstrad CPC 6128 our family was given in 1988, together with a handful of game discs. Those I recall best are ATF, Metro Cross, Tau Ceti, and the one that sticks out most, Kettle, a split-screen co-op game, where you play as flying tea-kettles, trying to escape a maze by destroying enemies called “bubbling bowels”, until one drops a tin opener which you use to open the trapdoor to the next level—it’s bizarre; you really couldn’t make this up. It’s interesting to note than even then—at age 7—I was aware that some of these (Metro Cross for one) were “illegal copies”, while others were legitimate (e.g. ATF), even if I didn’t actually understand what that meant. In 1990 we got our first IBM (compatible), a 386SX. I remember playing Castle Adventure, Test Drive I & II (and later III), Grand Prix Circuit, and SimCity on this computer or others—we inherited quite a few old XTs, 286s, and later 386s and 486s during the early ’90s, and played games on all of them that we could get working. We got our first CD-ROM drive in 1993, and it came bundled with King’s Quest VI, the first graphical adventure I’d really encountered (I’d discover The Secret of Monkey Island the next year). Other games I remember fondly from around that time are The Settlers, Lotus: The Ultimate Challenge, Civilization, Colonization, The Savage Empire, Ultima VII (which still blows me away with the breadth and depth of its world—years later, Oblivion felt like a poor (albeit 3D) imitation), Commander Keen, and of course Nibbles, the snake game that came with DOS 5. I remember modifying it to have multiple levels (with a level editor), and allow 4 players to play simultaneously against up to 6 AI players. 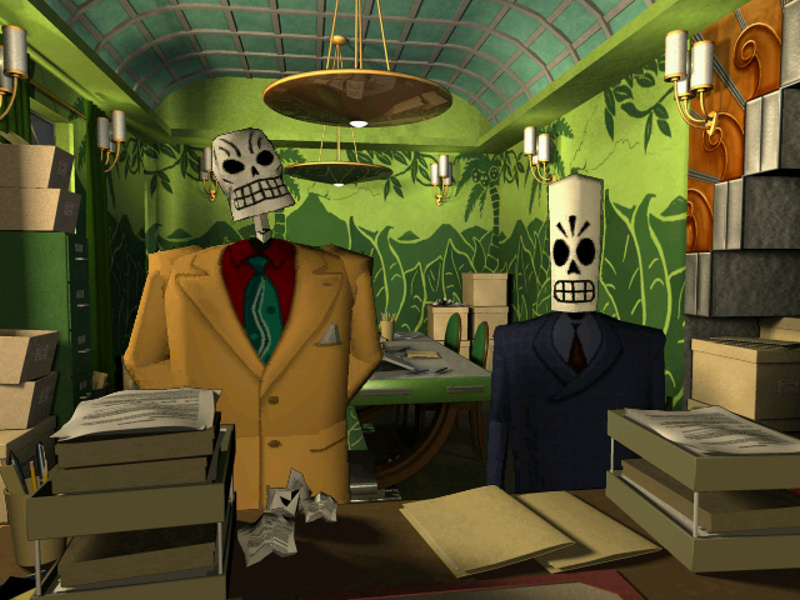 Over the next several years I encountered Day of the Tentacle, Grim Fandango, Full Throttle, Thief I & II, Descent, Hidden & Dangerous, Descent, Worms, Unreal Tournament, Angband, and Nethack. Most of these I played excessively during 2000-2001. It was only later in the decade that I encountered Deus Ex, Max Payne 1 & 2, and Half-Life. Oddly enough, I didn’t play Half-Life until after I played Half-Life 2—although I vaguely recall playing the Half-Life: Uplink demo a few years before. Yet shortly before Half-Life 2 was to be released, I remember being incredibly excited about it, really looking forward to its release. It was really only after Steam started selling third-party titles, and the later rise of Good old Games, that I encountered Fallout 1 & 2, Psychonauts, The Longest Journey, Dreamfall, Beyond Good & Evil—all superlative games, most of them well past their use-by date by the time I played them. And of course I bought The Orange Box on day 1, and have been playing Team Fortress 2 ever since. As you can see my gaming history has been almost entirely on PC—though the list above is very abbreviated; if I were to list all the games I’d play I’d have to strain my memory pretty hard—and have had very limited exposure to consoles. We never owned one, but a few friends had them. I played two or three NES games: B-wing, Ice climber, Contra. Mario on the GameBoy. And later Mario Kart and Super Smash Brothers—first on the N64 and then on the GameCube. That’s very nearly an exhaustive list of console games I’ve played. Although last year I purchased a PS2 to play ICO, and this year also played Shadow of the Colossus on it; both were games I’d heard of by reputation, and decided it was time to try them. AD – For fun would describe most of my conscious motivation. Most games are entertaining (they can even be so while being frustrating). Many I enjoy because they’re mentally stimulating, with puzzles of various forms. In some ways I suspect I play games because I grew up playing games; just as I read lots of books because I grew up reading a lot, and I watch very little TV because I grew up watching very little. AD – A game that epitomises videogames for me… I’d probably have to pick Portal. It’s the Princess Bride of videogames: it’s got action, puzzles, jumping, revenge, robots, demented robots, great story. It’s really improbably good. AD – Last week I played through Shadow of the Colossus—I loved it; it was lonely, melancholy, and exhilarating. AD – Well, that’s an easy one. The PC wins pretty much by default as it’s the only platform I have much familiarity with. AD – That is a tough one. Every time I play through one of the games I really enjoyed (I love going back to old games again), it seems to oust all the other contenders for the top spot as my favourite. So I never really have a clear favourite, though Grim Fandango, Half-Life 2, Thief II, and Team Fortress 2 would probably be the worthiest contenders. If I had to pick one of those? Uh… probably Half-Life 2. 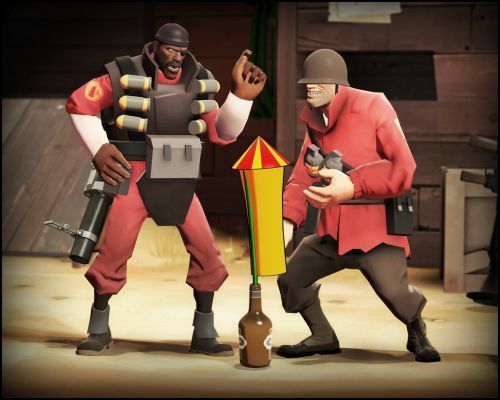 AD – The vast majority of my online gaming experience is through Team Fortress 2; I’ve never played any MMOs, and the networked multiplayer games I’d played in years before were usually over LAN. In TF2 I tend to stay within a few circles: TF2Maps.net, Playstuff, RPS, and PC Gamer servers, and very rarely play elsewhere. Which means I’m usually playing with people I’ve played with before. I very rarely play with complete strangers. AD – I think motion control is a bit of a gimmick. A controller is just a tool—an interface between the player and the game. Its role is to be unnoticed, unconscious: if a player is thinking about the controller while playing, they’re not going to be playing well. Something that’s necessary for this is for the controller to be accurate and repeatable. You lose that connection to the game when the controller doesn’t do what you want, and you become aware of the controller again. Motion control for me feels too inaccurate. Maybe I’ve never given it a chance to get used to it, for it to become intuitive enough; but I’m not sure it can be, given that many games try to introduce new motion gestures that you have to learn—in a way like a new controller. It’s much easier to forget the controller when it has the same keys & mouse buttons, or the same triggers and analog sticks in every game. AD – My only experience with 3D gaming was yesterday, when I went to try the games that Sony were showcasing as part of the Edinburgh Interactive Festival: Gran Turismo 5 (I think) and Motorstorm or something like that. I didn’t really care for it: the 3D effect looks too forced, a bit like seeing everything through a telephoto lens. It felt like what should have been metres of depth was crammed into a few feet. AD – Somewhere around me—I’m working on a few game prototypes right now, so in five years I’d like to have several successful indie titles behind me. OK, that’s a slightly introverted answer. The industry in general seems to spend a lot of its time recreating the same concepts, and the same gameplay mechanics. It makes money, sure, but it feels stale. I’d love it if the game shelves were full of new, untried game ideas. Maybe that’s a reaction to most of the big titles this year being sequels. AD – Gaming is a key part of my life, and my culture. It’s as big a part as books, and a much bigger part than films and television. I love the immersion that games offer, the ability to step into completely different worlds and explore them, or experience stories within them. I think games have a broader potential—mostly untapped—for art/narrative/imagination than any other creative medium in history.